Hi there, today is the last day of JustRite Papercrafts October Release. Hope you like what you have seen so far and today we have another fabulous baby stamp set releasing. 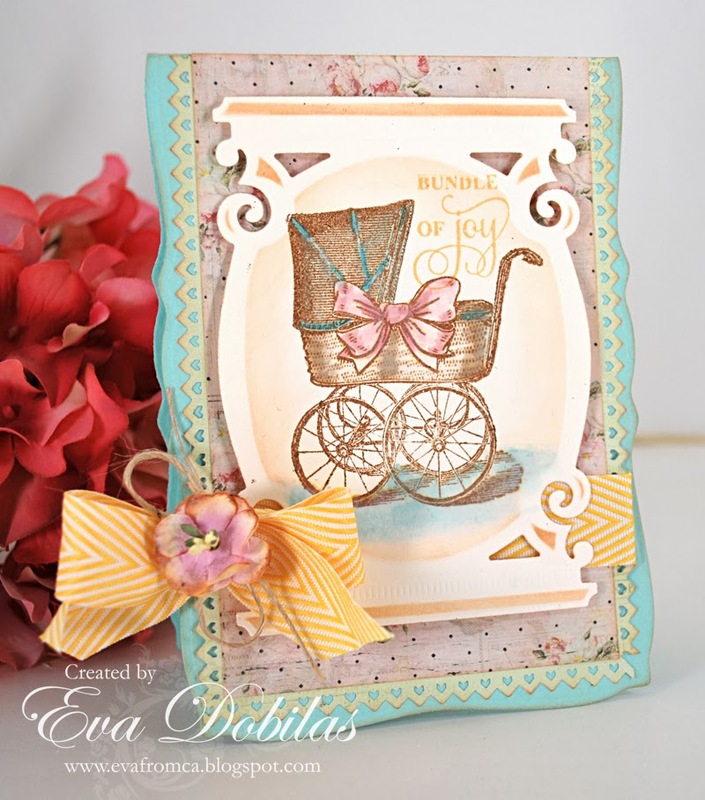 My card below is created with Bundle of Joy Vintage Labels Five clear stamps and my card base is die cut with Spellbinders Curved Rectangles dies. I die cut a cream card stock using Spellbinders Vintage Labels Five dies, and stamped the baby carriage image, which I colored in with Ranger Distress inks. The patterned paper is by Prima, the pretty bow is a May Arts Ribbon and the pretty little flower is Petaloo. Here is what the Bundle of Joy Vintage Labels Five Clear stamp set looks like. 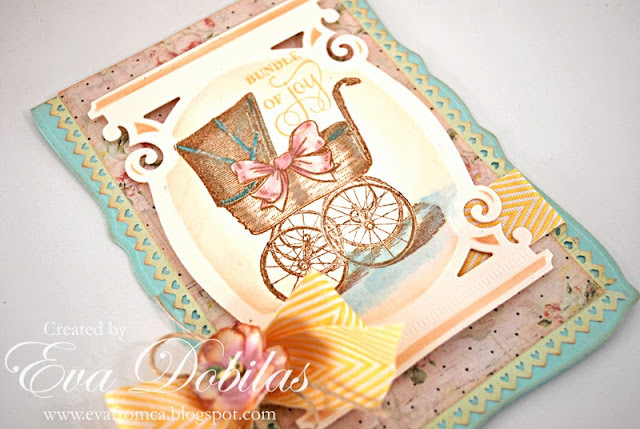 And now make sure you hop over to my fabulously talented design team mates blogs to check out what they created using today's stamp set. Here are the ladies, who are participating today. Thank you for visiting me all week. I really appreciate it and wishing you an amazing weekend!